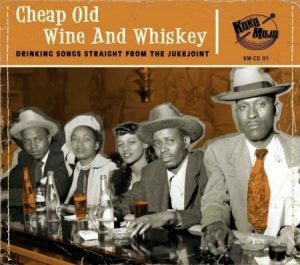 Here is a great compilation of vintage blues and Rn’B records with a common theme – alcohol! Put together by Little Victor, drawn from the archives of labels like Aladdin, Excello, Imperial, Chess, King and Savoy, these tracks are all the real deal. 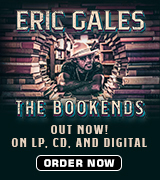 The material includes some songs that all blues fans will know, but not necessarily from the original version. A prime example is Peppermint Harris’ “I Got Loaded”; modern blues fans will probably be familiar with Tab Benoit’s version but Peppermint’s original is a quieter affair. JB Lenoir’s “Give Me One More Shot” was covered in the UK by Dr Feelgood and two songs here will be familiar to fans of Sam Myers, Anson Funderburgh and The Rockets: “Sloppy Drunk” appears here by Jimmy Rogers and is clearly very closely related to “Bring Another Half A Pint” by Sonny Boy Williamson, a point underlined by the songs being adjacent on the CD. Jimmy Liggins’ “I Ain’t Drunk” is another classic that is probably best known from Albert Collins’ version but the original is great with Jimmy’s clear vocal, swinging horns and piano. Amos Milburn gives us “Bad, Bad Whiskey” which sounds great with Amos’ distinctive piano and “Drinkin’ Wine Spo-Dee-O-Dee” was one of the first successes on Atlantic for its writer ‘Stick’ McGhee but the excellent version here is by labelmate Larry Dall. 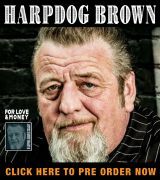 There are also lots of styles here: we get acoustic blues from Lightnin’ Hopkins (“Drinkin’ Woman”), The Richard Bros (“Drunk Drivers Comin’”) and Lick Slick & Slide (“I Got Drunk”); Dave Bartholomew gives us the great title “Who Drank My Beer While I was In The Rear” which has a superb sax-driven arrangement and Al Jackson gives us a Big Joe Turner-inspired “Let’s Drink Some Whiskey”. The title of the collection comes from the relatively obscure Jack The Bear Parker who recorded “Cheap Old Wine & Whiskey” back in 1952 and the line “cheap old wine and whiskey makes me gay” clearly reflects the vintage of the song. Another obscure number is “Looped”, a fun jump blues instrumental from Calvin Boze that brings to mind surf music crossed with “Tequila”. Little Victor has done well to find so many fine tunes with a drinking theme. It all makes you wonder if the blues would be the same if all the artists had been tee-total! A fun compilation, great for parties.